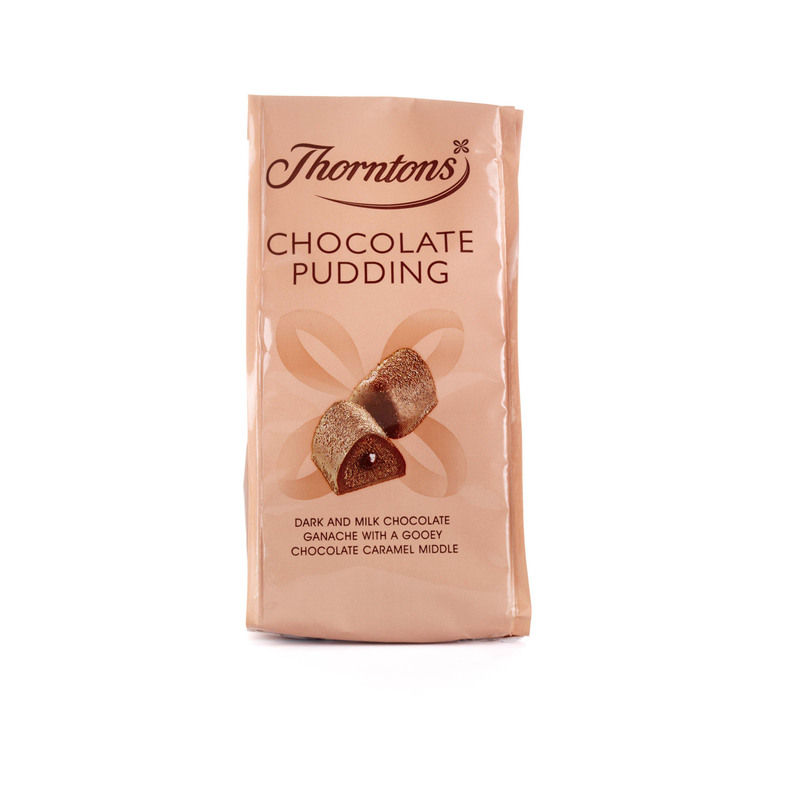 Chocolate Puddings are a brand new addition to the Favourite Flavours range – a dark and milk chocolate ganache hiding a gorgeously gooey chocolate caramel centre. 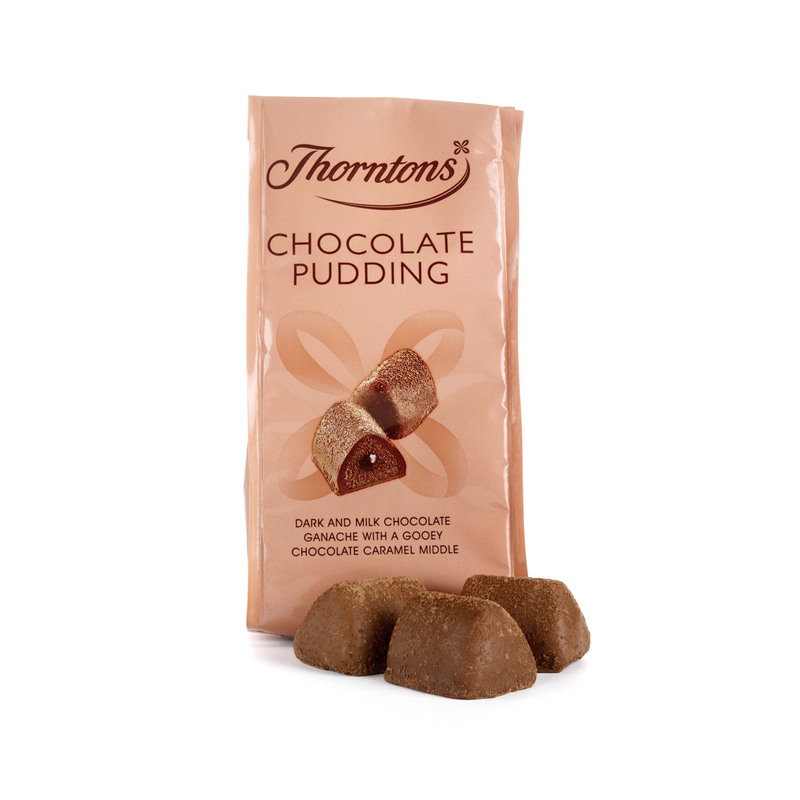 A must try for fans of melt in the middle chocolate puddings, Thorntons Chocolate Puddings are wrapped in smooth milk chocolate, making them a great on the go treat. 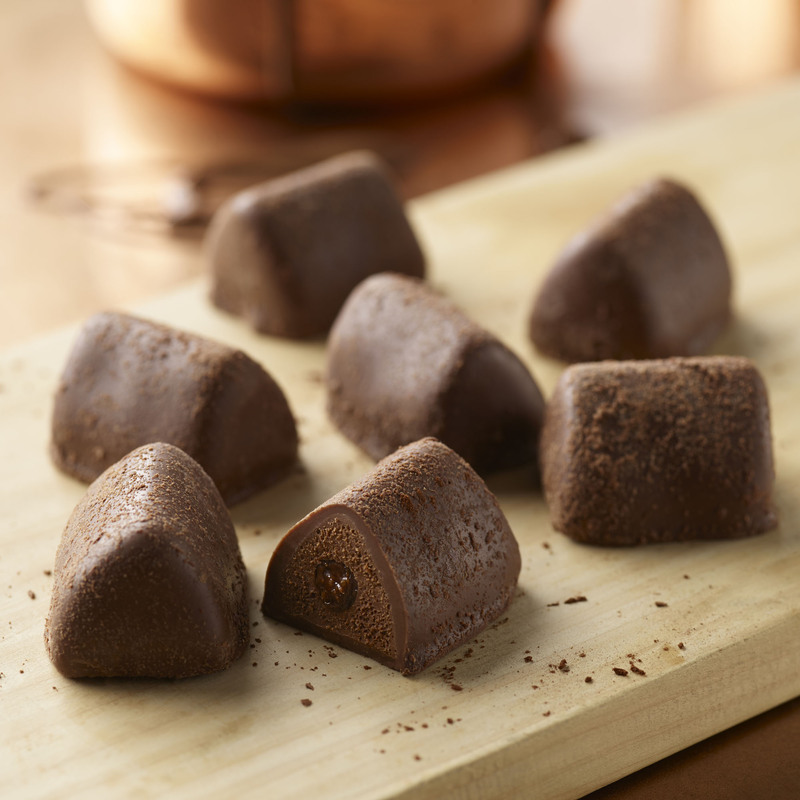 Indulge in a bag just for you, share with someone special or give as a token gift – this new chocolate ganache, chocolate caramel and smooth milk chocolate combination is a chocolate lover’s dream! Sugar, Cocoa Mass, Dried Whole Milk, Cocoa Butter, Double Cream (Milk), Glucose Syrup, Humectant (Sorbitol), Butter (Milk), Milk Fat, Dextrose, Whole Milk, Sweetened Condensed Milk (Whole Milk, Sugar), Emulsifier (Soya Lecithin), Fat Reduced Cocoa Powder, Invert Sugar Syrup, Palm Kernel Oil, Salt, Stabiliser (Invertase), Flavourings.